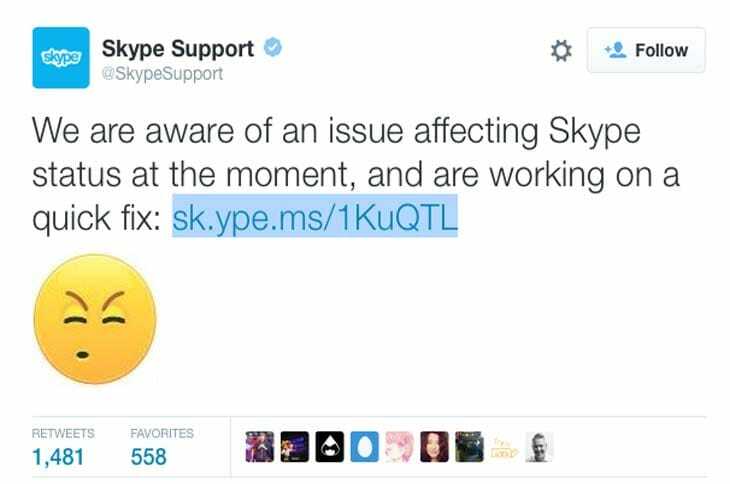 Just under 4 hours ago we noticed Skype went down on September 21, 2015 across the world. The majority of users saw a Skype can’t connect error message during this time, but hours later it seems Skype is still down with the last server status update 3 hours ago. This explained they were looking for a quick fix to the problems, but nothing has been done as of yet with no news leaving the company. At the time of writing we can confirm Skype is still not working and can’t connect, also there’s no way to login with the apps on Android and iPhone. Some of Down Today readers did confirm they could use messaging if they were already signed in, but this hasn’t been confirmed by all. Is Skype still down for you and if so what error messages are you seeing on Sept 21? You can join in the current debate and look for a solution, other than a pending official “quick fix”, by visiting our dedicated outage page.